Romain Grosjean is using the example of his debut season in 2009 to remind himself that patience is a valuable trait in Formula One. Grosjean's pre-season was limited to just 91 laps, with many of his stints cut short due to issues with Lotus' E22 or the Renault engine. But Grosjean is no stranger to being thrown in the deep end, stepping up to F1 for Renault's old factory team in 2009 to replace Nelson Piquet Jr after "Crashgate". The team then reintroduced KERS at Monza, the third race of his career, and he insists the frustrating experience which followed sets him in good stead for 2014. 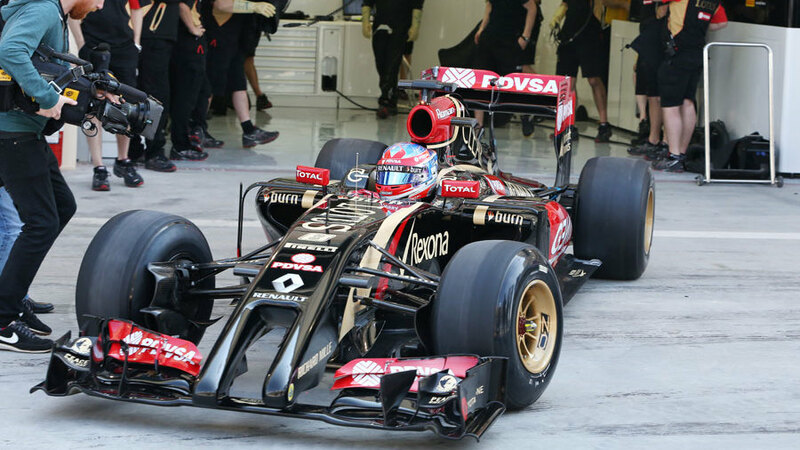 "It's the same first time around with anything," Grosjean said. "The KERS in Monza in 2009 with Renault, for example, it was just a disaster, we had to change everything five times over the weekend and then it got more normal. It's hard to get everything working together. "It's quite messy at the moment, as well, we sometimes have to change four or five times a lap, depending on what we are planning. It is a little bit too much. It's not ideal, especially if you go out on a faster lap and you have to change booster scenarios, the torque, the whatever, and then you get lost, it's not great." While it is clear Lotus is waiting on significant steps forward in the engine department, Grosjean admits he has full faith in Renault to make the improvements they need to make given their history in the sport. "They are all software related, but I don't know. I don't know what exactly we are able to change. They know how to do engines, they have been winners in the past so I'll leave it to them. We just have to trust the people who do that job. All I can do is drive and hope the car gets better." Despite the situation the team finds itself in, Grosjean is determined not to just make up the numbers in Melbourne. "We go there to compete and try and score points. Being there to just drive is nice for some people but not for us. It is not what we want."